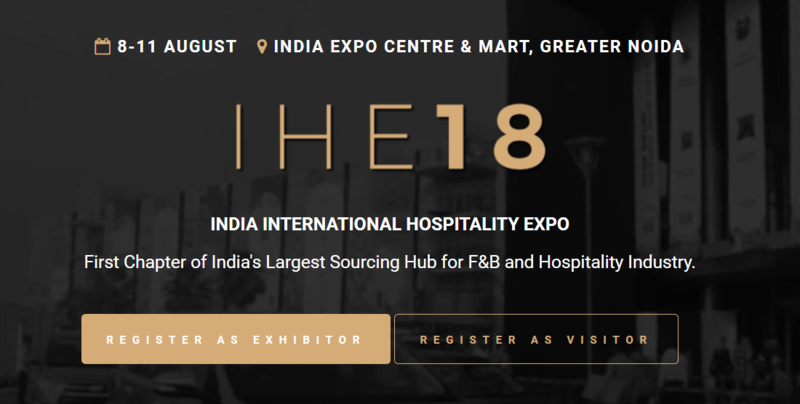 With over 400 Exhibitors and 10,000 Decision Makers from across the length & breadth of the country’s hospitality, retail and F&B industry, IHE 2018 has been built on a grand vision – to become the Biggest Hospitality Show in India and gradually a name to be reckoned with across the globe.This extensive platform which promises to be a powerful forum of networking will see influences such as CEOs, GMs, Executive Chefs, hotel-chain owners, F&B Managers, HODs of engineering, housekeeping and purchase function, distributors/wholesalers, procurement managers, designers, the all-important front line hospitality personnel’s, and so many more. IHE 2018 has exhibition halls spread over 14,000 sqm area and an extensive list of exhibition categories ranging from F&B equipment’s, food products and beverages, hospitality & decor, and hotels & tourism boards. Dedicated Pick-Up and Drop for senior decision makers across hotel industry.